Thank you for visiting the Pinellas CHAT web sites. Your privacy is very important to us. Simply stated, our policy is to collect no personal information about you when you visit the PinellasCHAT.com Web site, unless you affirmatively choose to make such information available to us. 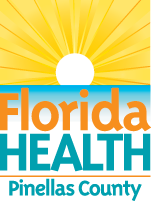 If you choose to share personal information with the Florida Department of Health or Pinellas CHAT by subscribing to an e-newsletter, sending us a message, or filling out an electronic form with personal information, we will use the information only for the purposes necessary to conduct government business with you. However, under Florida law, e-mail addresses are public records. If you do not want your e-mail address released in response to a public-records request, do not send electronic mail to this agency. Instead contact the office or individual by phone or in writing.